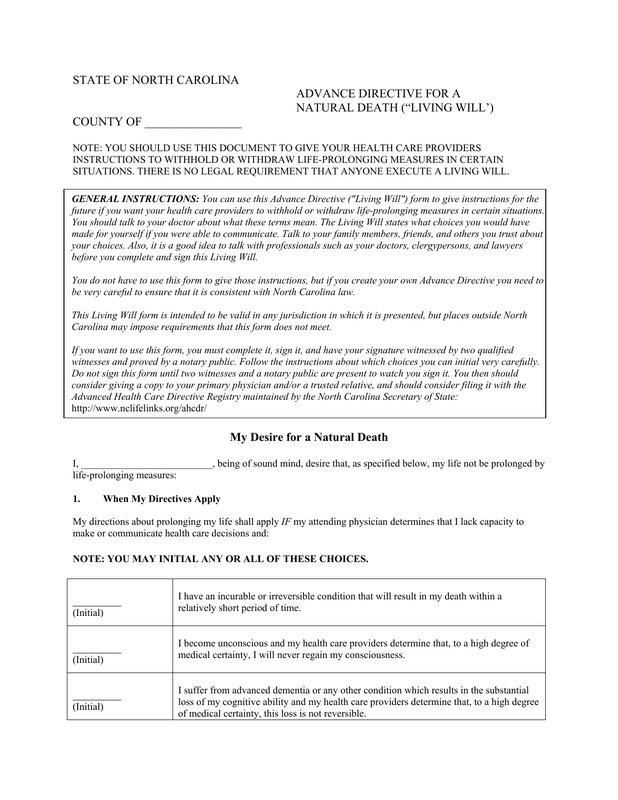 Download this North Carolina advance directive form, also known as an “advance directive for a natural death” which allows you to specify that you do not want certain life-sustaining methods used in the event of a terminal illness. © 2015 FreeDownloads.net. All Rights Reserved.